An artist’s rendering of the 21-story hotel approved for Kneeland Street in the Leather District. The Leather District could soon be getting a new hotel. 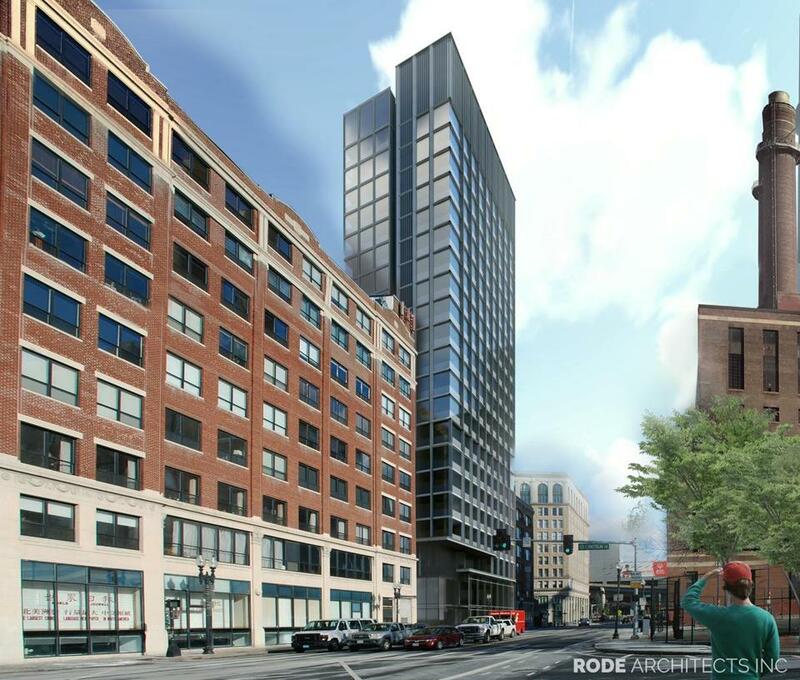 The Boston Planning & Development Agency has approved plans for a 21-story hotel on Kneeland Street. The project, overseen by an affiliate of The Hudson Group, which has developed several other buildings in the neighborhood, calls for a 230-room hotel on the site of a shuttered restaurant, a few blocks from South Station. The project is unusual in that it doesn’t call for any parking, just a dropoff lane for cars on Utica Street alongside the building. The developer also agreed, as part of its community benefits package, that the hotel would supply 300 free nights per year to “people in need of accommodation” because of displacement, medical issues, or other short-term housing crises. The BPDA on Thursday evening also approved a variety of other projects, including a 10-story inpatient building for Beth Israel Deaconess Medical Center and several smaller housing developments. One of those housing complexes will create 40 lower- and middle-income units on Morton Street in Mattapan. Another will put 23 senior housing units and a new Knights of Columbus hall on Margin Street in the North End. The BPDA also OK’d a two-year pilot program for “compact living,” creating new guidelines to help developers build units that are smaller than typical minimum square footage required by city zoning. It also approved new zoning rules designed to require more community input on projects in East Boston, where some people are concerned that a wave of new development risks pricing out current residents.